While Maze does some exploration and finds the hidden diamond cleaning room. Chloe arrives and she and Jay point guns at each other - and Ella realises her brother must have been in the diamond cleaning room: he is a diamond cleaner and a thief. But he insists he isn’t a murderer. And he escapes because Ella stands in between the guns. Ella is obviously heartbroken and she appeals to Maze to help prove his innocence. To which Maze refuses without more price. Ella is more heartbroken that Maze clearly doesn’t care: to which Maze brutally sums up Jay’s crimes and why she has so very little reason to care. Ella makes another plea for family - which clearly affects Maze - but Maze still leaves. But Ella has another ally: Chloe. Looking at what Jay said she realises they have another suspect: the insurance adjuster in his distinctive shoes. They head to him but force Ella to stay in the car because she is too close to this. But Lucifer isn’t going to tell Ella and nor is Jay. Because lucifer is clear - that would hurt Ella. But he does leave with a threat - backed by demon eyes - if Jay disappoints Ella again Lucifer will hunt him down. And I kind of forget how menacing Lucifer can be. There follows a long fight which trashes Lux and has Amenadiel kill Cain again and again and again and again and again. Because Amenadiel may not have his powers (apparently. I am sure we saw some super strength there) but he’s still God’s first and chosen warrior who you Do Not Mess With. Cain does make a comment on how Amenadiel tried to kill his own brother (which could be referring to Lucifer or Uriel…) which at least hits some guilt in the angel. This scene was interesting in that it reminded us who Cain is. It can be easy to focus on him as the poor badly done to victim - but he was just willing to shoot an innocent to coerce Amenadiel - the first murderer is not a nice guy. I like how everyone, even Maze, is thoroughly invested in protecting Ella and her feelings come what may - because it’s Ella! 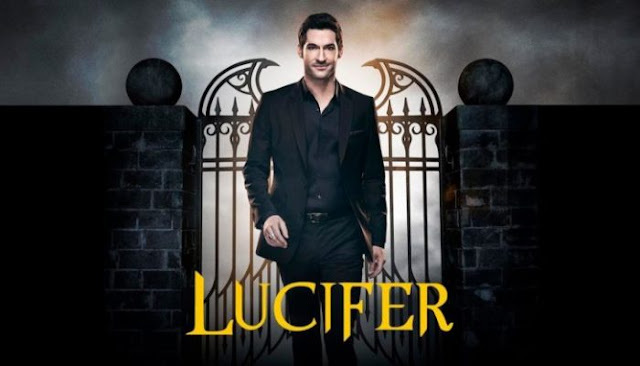 Amenadiel and Lucifer and Cain are all wonderfully complicated layers of clear wrong, but proportionality and the ongoing hot mess of Amenadiel deciding to save Lucifer no matter what Lucifer actually wants. I also loved the clear competence of Amenadiel after so long trying to make him into little more than the comic relief.